Game of Thrones has returned to our screens for a seventh season of blood, dragons and dramas. Well, apparently - I’ve never actually watched the show - but with endless excitable chatter in the office and some big-budget marketing stunts in the media, it’s been almost impossible to avoid. 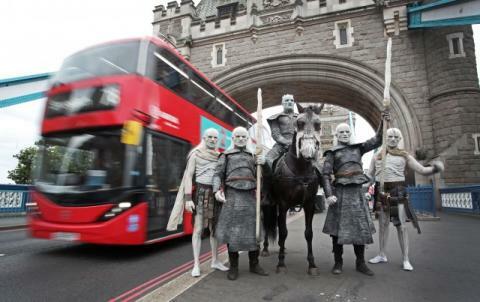 Just one week before the show hit our screens, White Walkers were released around some of the UK’s most famous landmarks including London Bridge, Oxford Circus and Hadrian’s Wall. 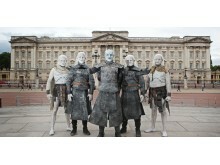 Taylor Herring, the comms agency behind the stunt, brought the creatures of the north to British landmarks for a photoshoot that, one might argue, signifies the show’s invasion of popular culture here in Blighty. Emilia's Rating: HOT! - "This was such a cool way to promote the show! It got everyone talking, taking photos and sharing them on social media. I’m just gutted I didn’t get to see them in real life! The people behind the stunt clearly knew their audience, where they'd be and what channels they'd spread the word on - and they were right"
Nick Johnson, Customer Success Manager, has no shame in being one of the 3million Facebook users who tuned in to watch a block of ice melted by two flame throwers. Yup, you heard that right. A block of ice. Melt. Game of Thrones took to Facebook Live to unveil the date of the show’s return to the air. The chilly stunt comes as just one of many activities to build hype around the latest season. To encourage engagement, fans of the show were invited to activate flamethrowers by commenting “FIRE” on the live stream. Some 400,000+ fans frantically commented but seemingly to no avail as the video experienced technical issues. Oh...and the ice took what seemed like f o r e v e r to melt. “I was asked to give up my throne at Kings Cross, this morning!”, exclaimed an excitable Chris Finnegan after an unusual commute into the office. 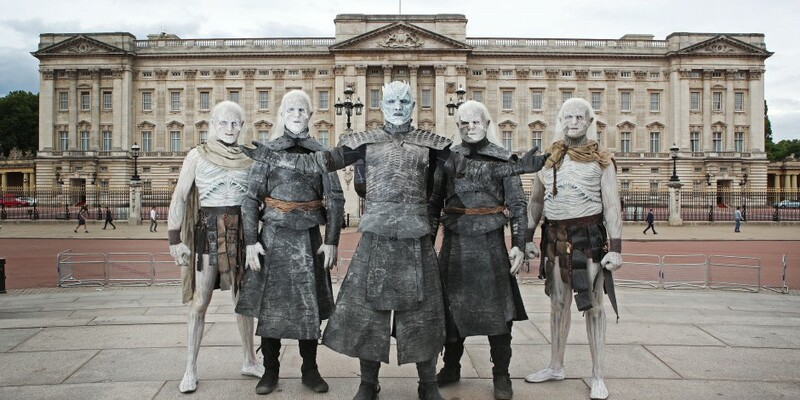 Winter came to King's Cross and Waterloo stations, last week, as characters from the GOT series cropped-up amongst the crowds of commuters. Service announcements were also followed by the show’s theme tune and occasional tannoy takeovers demanded passengers “give up their thrones”. 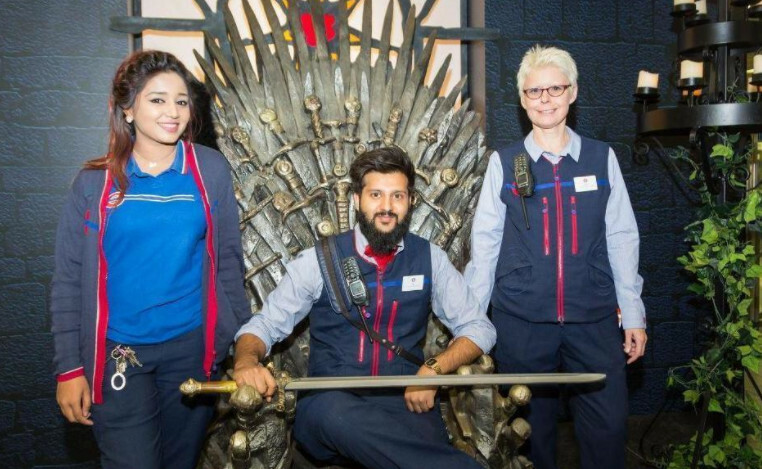 TFL staff were dressed as some of the characters and many of the Tube signs pointed to Hodor and King's Landing. Residents of Dorset woke to a giant dragon’s head washed-up on their shores. But, alas, it wasn’t a regular fossil like those often found on the Jurassic Coast. This was, in fact, an ad from movie and TV streaming service, BlinkBox, to celebrate the arrival of the HBO series. Dan’s Rating: HOT! - “This is quite possibly the coolest Game of Thrones-related marketing since the dragon-shadow newspaper ad. I suspect it was inspired by the scene when Arya Stark discovers a dragon skull in the dungeons of King's Landing, the capital of the Seven Kingdoms. And have a back-up plan incase technology fails you! For information on how Mynewsdesk can get your campaign off the ground, get in touch!